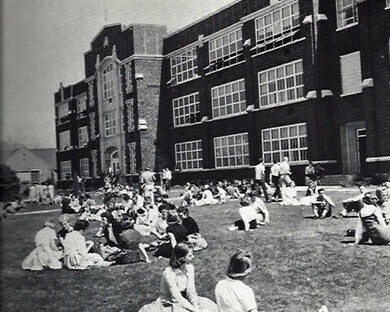 The official site of the Warrior Class of 1962! 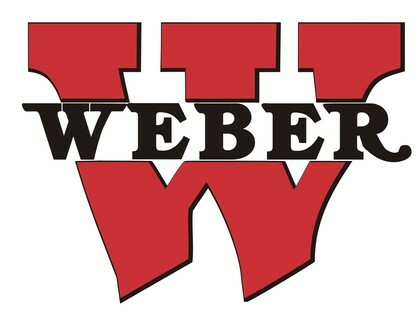 "For Weber High we stand..."
We're not sure who posted the announcement below about the passing of their spouse. Please let us know, thanks! Just to let everyone know that my Sweet, Jim Walker passed away on January 12th of this year after of kidney failure. I am enclosing a memo I posted on that day that kind of sums up our relationship and my feeling about him. Wish you all could have known him. He is awesome! "On my mind this early morning is that I just lost the love of my life, Jim Walker last Saturday morning after only getting to spend 46+ wonderful years with him! NOT NEARLY ENOUGH! As I try to write this, I am at a loss for words to adequately express how much he means to me and how much I love him. Eternally grateful that I know and understand the Plan of Happiness as taught in the Church of Jesus Christ of Latter Day Saints. in which we can be together forever throughout all eternity, and that we started our marriage in a Temple of God that allows it to be so! I know we will be reunited and spend all eternity together! I miss him every hour and sometimes feel him near my side, however, I know he is freed from his mortal body and all the pains and sorrows that come with it. He can soar with the angels of Heaven now, kind of like he always said he wanted to "soar with the eagles" and be able to see the Earth from their vantage point. Grandchildren: Cherish the eagles from his collection and imagine that Grandpa can now do that. He so loved the TV program "Aerial America" where he could explore the America that he loved from the air. Now when I watch any of their shows, I will imagine him being able to see the whole Earth and Universe that way. He is my Eternal Companion, Bestest Friend, Soulmate, Confidant, Lover, Counselor, Listener, Example of a man without guile, malice, or greed, Example of a man who has unconditional love for everyone, and my fearless and formidable Scrabble opponent!! Sweetheart, I love you so!" 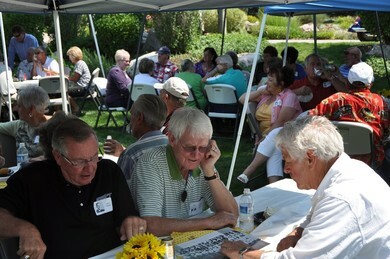 ...we're celebrating our 55th Reunion! all you HAVE to do is SHOW UP and enjoy old friends...!! ...though much lower key this time at a relaxed picnic where we can hang out and enjoy each other's company for an afternoon and into the evening. So. 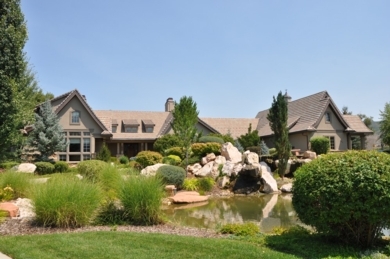 No big program, no dress up, no tickets, no cost, just an afternoon of hanging out and enjoying each other's company in a great, relaxed Ogden Valley setting in Huntsville. We were informed by classmate Richard Crawford recently that our classmate Craig Peterson's home in Huntsville burned down shortly after Christmas. Richard reported that "Sadly many of his sculptures and artwork were destroyed. You can see some of his work by reading his page." Sandra Leigh (Garner) Grimm of Bountiful passed away on October 7, 2016. Click here for her In Memory Page. Joe Robert McCloy of Skiatook, Oklahoma. passed away on August 30, 2016. Click here for his In Memory page. Kathleen Kirkwood Park of Farr West, UT passed away on August 29, 2016. Click here for her In Memory Page. Lowell Wayment of Hemet, CA passed away on June 15, 2016. Click here for his In Memory Page. 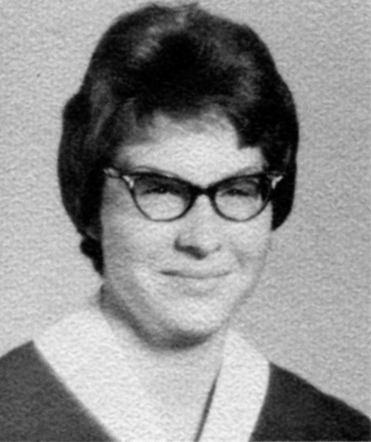 Sharon (Crippen) Purdy of Layton passed away on May 12, 2004. Click here for her Preliminary In Memory Page. Cheryl Ann Creamer of North Ogden passed away on April 26, 2016. Click here for her In Memory Page. Marvin Robert "Bob" Dominguez of Ogden passed away on March 11, 2016. Click here for his In Memory Page. Craig Malone of Roy passed away on February 22, 2016. Click here for his In Memory Page. 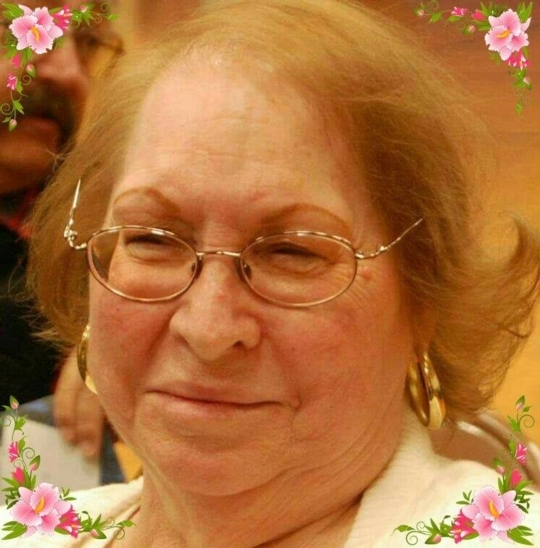 Gwenn Anderson of Ogden passed away on February 9, 2016. Click here for her In Memory page. In Memory pages are posted and updated in classmates' names as we gather info after learnning of their deaths. If classmates or families have materials, e.g., pictures, memories or info to add, please contact us and pages can be updated at any time. Or you can simply post comments to pages on your own. 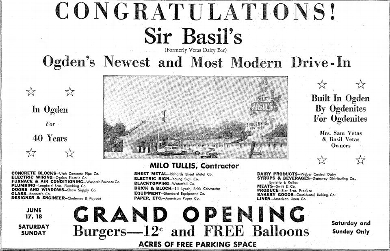 And then Mr. Vetas closed it - because of relentless competition from the new McDonalds (the first in Ogden?) 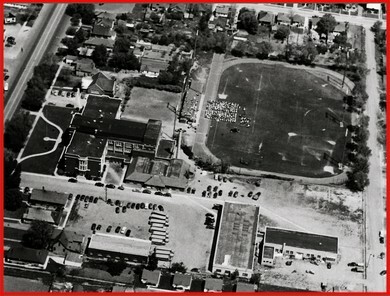 - which was both closer to the school (exactly across the street from the school building with a crosswalk right to it, and it had those 15 cent "crack burgers" (of course we didn't call them that, but you know, they proved addictive to many of us) which seemed to fit both the school (and comunity's) appetite plus the speed of getting your food... ...or at least it fit our budgets. Mr. Vetas wasn't done though. 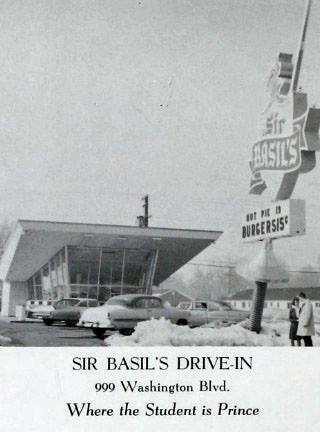 He built a Mickey D's clone with his first name on it in 1961 - with an opening burger price of 12 cents! - and a better quality burger and fries at that. 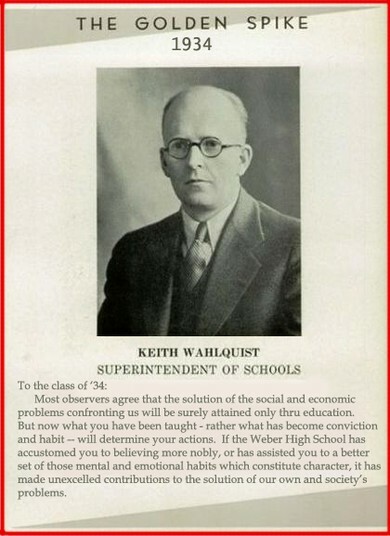 Jim Maynard Keller worked there and can verify that's what Mr. Vetas swore. When he wasn't swearing at McDonald's for their "souless corporate incursion" at least (not his exact words, but exactly how he felt. He was also passionate on the subject of how to make a perfect french fry - and his staff learned well. So as you see below, Sir Basil's was pitched as being from the local community with local suppliers and serving the local community. Just a quick note about a fun facebook page a number of classmates have been active on. 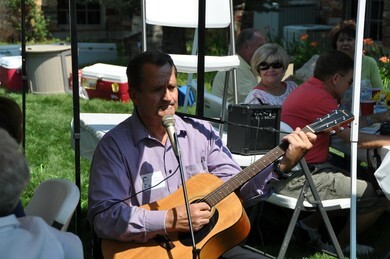 It's called "Ogden, Utah Glory Days." 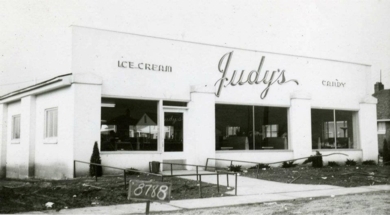 Lots of great old photos of places (many of our old favorite local haunts) and memories are being posted and discussed. About 20 of our class have joined recently, so the Ogden contingent is now hearing from us "Country Cousins"
If you're a facebook member, just use the facebook search bar to search for the group by name, and then enter your name to request page membership. Also invite any other friends (from the class or otherwise) you think would enjoy the page. Once you're a member, you can just enter their facebook names right from the page. The more members, the more posters putting their heads (and old photos, etc.) together there will be. Fun stuff.... ...and lots of memory material to scroll through...!! Try it, you'll likely like it...! Extra! A '62 crew defeats would-be facebook Hack Attack! 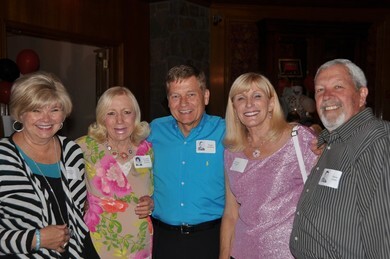 We thought you might enjoy the details of a recent very unplanned class mini-"e-reunion" a few of us had the other day. Some, well, creep/criminal/losers, not to put too fine a face on things, decided they could take advantage of one classmate on facebook, and through her, others of us (and her other friends). 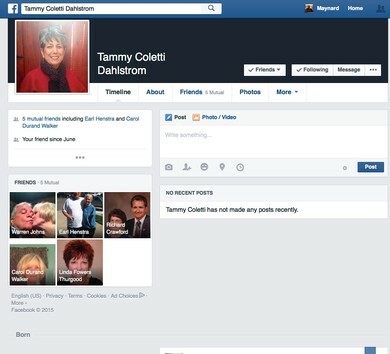 I just had a series of IM's on FB from someone who calls themselves Tammy Coletti telling me about how she received $50K from FB for being a long time user. Earlier I had received a friend request from her, thought we were already friends, looked and we were. Sounds like a scam to me, have you heard anything from someone calling herself Tammy? 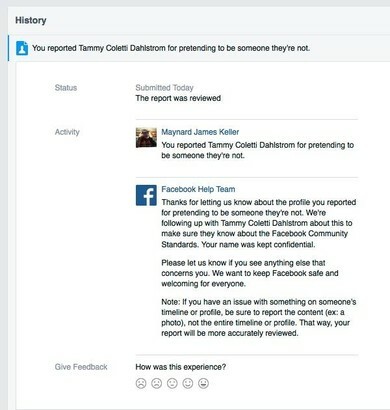 Meanwhile, on facebook, other classmates (who hadn't seen the above) had also accepted the fake Tammy friend request (most assuming her page had been taken down for some reason and that she - the real Tammy - was starting over). And all were getting the same phoney baloney chat spiel, so reached out to each other (but didn't message Tammy, as no one was initially sure who had control of her account or just what was happening). So I think they just copied her picture and name, got friend names from her page and are now busy trying to take advantage of her familiarity to us. And of our familiarity with each other.... And are now promising "Aid from Mark Zuckerberg who help regular Facebook users most especially disabled, old and retired on Facebook?" Gonna call us "disabled" and "old," and go after our friend, punk?? So we quickly confirmed between us that we were having the same experience, and gathering our wits, saw there were now two facebook accounts with Tammy's name and current picture... ...the regular one with hundreds of friends and the fake one (below) started that day with only a few.... ...all Class of '62 as it turns out (including Linda Fowers Thurgood who wasn't online for the exciting phase). 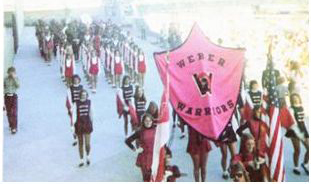 The Warriors shoot! And they score! You classmates are the best! Here I have been away since forever and you are first to rescue me and make things all better!! Thank you so much. I have told all my local friends about it and most of them got the same message but didn't respond. ...and fnally, shared some chuckles as the emergency wound down, e.g. at some point Leave it to Beaver came up, with Carol quipping "Golly Wally. That's a terrible thought..."
So, Warriors what's been going on with you? The good folks at Class Creator have been busy folks. The buttons and tabs for doing things are in different places - and there's some new tools exclusive to facebook, but virtually the WHOLE SITE is live on facebook now. So, if you have a facebook account and want to try it out, just click on the "Try Class Connection" text on the upper right of the Home page - or on the facebook logo and "join our class" as well. They'll both take you there. There's a lot to share about this - e.g., once you're a site member on Class Connection, you can instantly get to the site from anywhere on facebook simply by typing "Class Connection" into the facebook search bar. And can set things up so you get facebook notifications of posts, pictures, comments, etc. on the site like anything else you follow on fb. 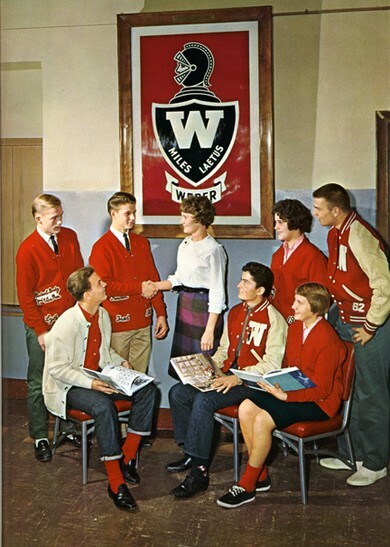 You can also use facebook's messaging system from inside Class Connection, etc., and see your regular fb notications TOO while you're surfing WHS '62 (!). And more. But we recommend you give it a test drive - and as always, let us know what you think. Oh were oh where has new content gone...?? For sure awhile since the last real site content update... ...not anyone's plan, just where we are... ...carrying out the 50th Reunion - and finding all the info we could on classmates who've left us - was a real roller coaster ride, on which many busted hump for months... ...to the point of neglecting other priorities to which they've returned. ....Still, we've collected a ton of pictures and words - both of the nostalgic variety and all the life sketches most of you have posted - and we're all free to add more and use the site to stay in touch. So we hope what's already here is a good resource. And going forward, with this platform already up and running - we'll be able to focus on future events rather than on setting up and getting word of a web site out to you. 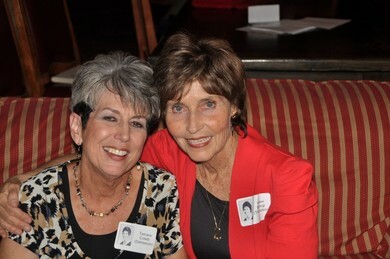 Meanwhile, welcome to our two newest (post Reunion) site members, Carol Wilson Hull and Kazuko Hori Shiotani..!! 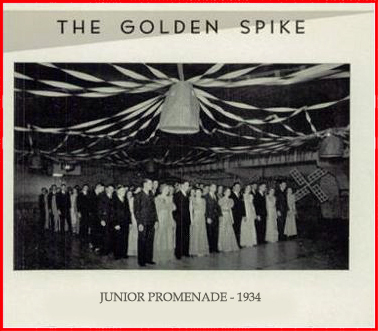 We also haven't finished the In Memory pages for classmate passings reported since the reunion - at least not to the standard of most of the memorial pages and hope to remedy that relatively soon. Finally, we've had a report that indicates the likely passing of Joyce Smith in 2003. However, while we believe the report is correct, despite considerable effort we have not been able to find a death record, obituary or other real confirmation of this despite making a considerable effort. If any of you can help verify (or contradict) the report, it would be much appreciated. Class Creator has re-written the program for the web site. You've noticed the new look, and more more updates are "in the pipeline." Some buttons have been relocated and the main page is now centered in the browser. Let us know how you like the the changes. We want to keep the site looking fresh! Speaking of whilch, you can now interact directly with us on the Home Page (below). Send site comments, "Letters to the Editor," reminiscences of any Reunion, Q's, or if you know anyone who's lost site access. ALL Previous Editions of the Class of '62 Web Trumpeter are being saved on the site. Press the Trumpeter Archives button on the top to access them. 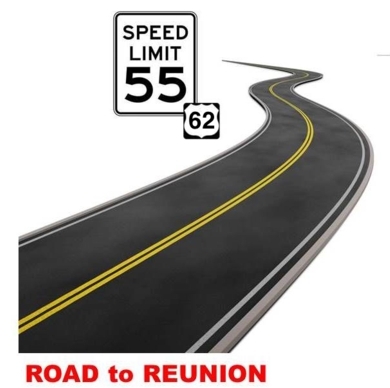 Remember: You can also post your own Reunion pics.. ..and please do (on the Reunion Photos page, please)!! 5. What two record-setting classmates are listed in the Weber State University Athletic Hall of Fame (one for track, the other for football and baseball)? 6. Who has skydived with each of her grandchildren when they turned 16 – and has more grandchildren to go? ...Answers at the end of the issue (*Scroll down*)! 5. The two WHS ’62 grads in the Weber State U Hall of Fame – with still unbroken records – are Lyle Johnston (football and baseball) and Darol Wintle (javelin). 6.. The classmate who’s skydived with several of her grandchildren when each turned 16 – with more to go – is Thelma Johnson (Oleson). We'll explain changes effecting how you use the site once we've worked more with them - and we think you'll love some yet to come. Here's one.... ...Tablet (iPad or Android) users now have (almost) the same view of the site that PC's do. Our goal is sharing something of the stories of our deceased Classmates. 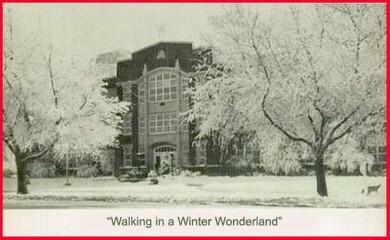 Memorial pages have been posted for ALL we know of - covering the period 1959-2013, i.e., from sophomore year to the present. Karen's obituary is posted, but no obit is yet available for Mondell. We are still gathering more information about both for further posting. Some pages are more complete, but we include all we can locate. Thanks to Earl Henstra, Jim Maynard Keller, Tom Grimm, Linda Fowers Thurgood, Richard Crawford, and others - and to Wendy Simmons Johnson (daughter of classmates Serge Simmons and Jane Chugg Renstrom) for a great effort! Your own remembrance comments and addtional materials you have to add are always valued! 1) How do you like the site changes? 2) Are you having any problems (new or old) with using the site? If so, please describe these. 3) Any specific suggestions for features or content you'd like to see added to the site? 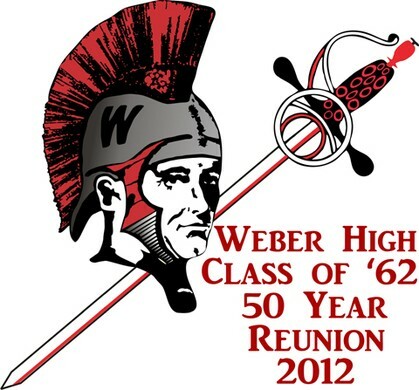 Welcome to the Weber Class of '62 website! A big "Miles Laetus" to you all! Please keep REACHING OUT to those who haven't joined and help the class re-gather! 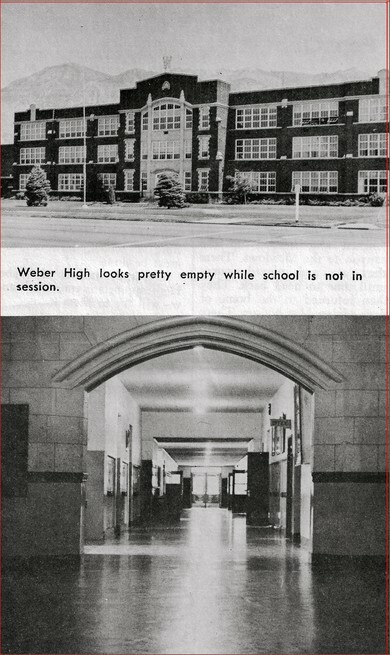 The ONLY pic we've found of Weber in winter ('47). Bonus Q: How many dogs can you find? 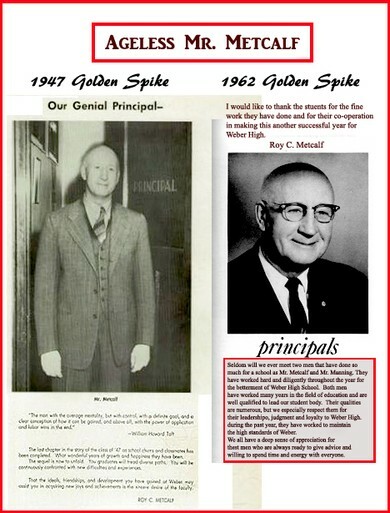 This one's both before and during our Weber days: G Spike pics of Roy C. "Dorian Gray" Metcalf... ...if we ever thought we could put one over on him, he'd seen it all... ...many times! 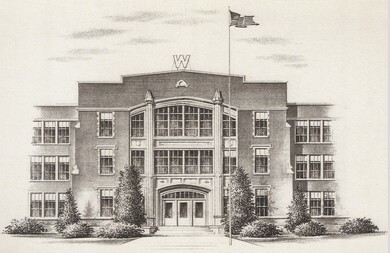 WHS in '47 - before our Gym... ...and a game was on...! Thanks for "coming back to class!" Click on Donate to help with future class costs. Any amount's appreciated! If you're in touch with any Missing Classmates, submit info and/or let them know about the site! We have no pics of 2 classmates (out of 403). 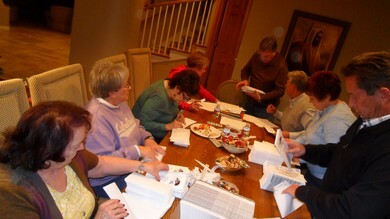 Committee members stuffing envelopes with invites... ...to get the party started!! 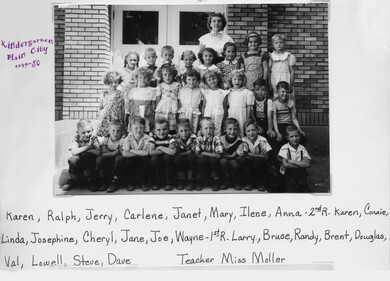 Left to Right: Karen Flinders Batchelor, Rhea Montgomery Schade, Bonnie Mason Creer, Sandy Garner Grimm, Tom Grimm, Fred Stettler, Linda Fowers Thurgood, John Rhees. 'Stat City' 8/2/12 - 162 classmates (over 45% of living classmates and 53% including classmates who have passed away) have joined. About 30 per day check in on the site and 115 in a recent month. Over 850 visits from 35 states (and other countries) have been made and over 1900 messages have been exchanged. Our "all time high" is 60 visits in one day. We share about 20 messages/day and view about 12 pages/visit - mostly Classmate Profiles looking for each other's stories! Meanwhile (only) a third of us have Uploaded Photos Have you?? Please do!! TIP: Words underlined in a different color than their text are usually 'live links' which can take you to pages you'd otherwise have to dig for.